Use your powder brush to set your base. 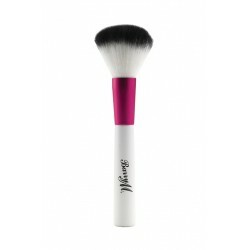 This brush is also great for de-shining throughout the day, especially around your nose, forehead and chin. Barry M make-up brushes are synthetic and animal friendly, guaranteeing you a high performance, super-soft product to create a flawless look.